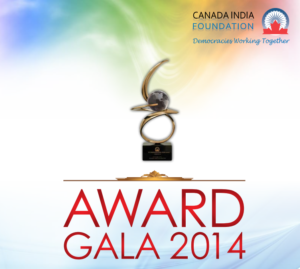 2014 Canada India Foundation Award and Gala Dinner was held at the glorious Westin Harbour Castle Hotel in Toronto. Like all previous galas, this time also we had a high profile Chief Guest and a Guest of Honour. The Chief Guest for the event was Mr. Joe Oliver, the Honourable Finance Minister of Canada. Gala night was attended by hundreds of business, community and elected leaders, making this yet another glittering feather in CIF’s cap. 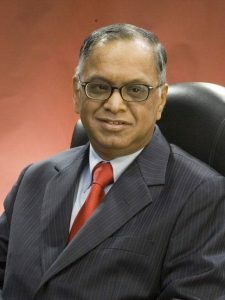 The 2014 CIF Chanchlani Global Indian Award was given to Mr. N R Narayan Murthy, Founder of Infosys – a global I.T. and Software Consulting Company with its headquarters in Bangalore (India). Infosys is among the best and the biggest I.T. companies in the world today, needless to say, one of the biggest I.T. services outsourcing firms from India. Not only in the business sector, Mr. Murthy has transformed millions of lives through his social and philanthropic work as well. Always willing and eager to give back to the society, he has been on the boards of various big name organizations and foundations, including Ford Foundation, UN Foundation, HSBC, Unilever, ICICI and NDTV. His unique contributions have been appreciated and recognized by the Government of India, who gave him the Padma Shri (2000) and Padma Vibhushan (2008) awards.